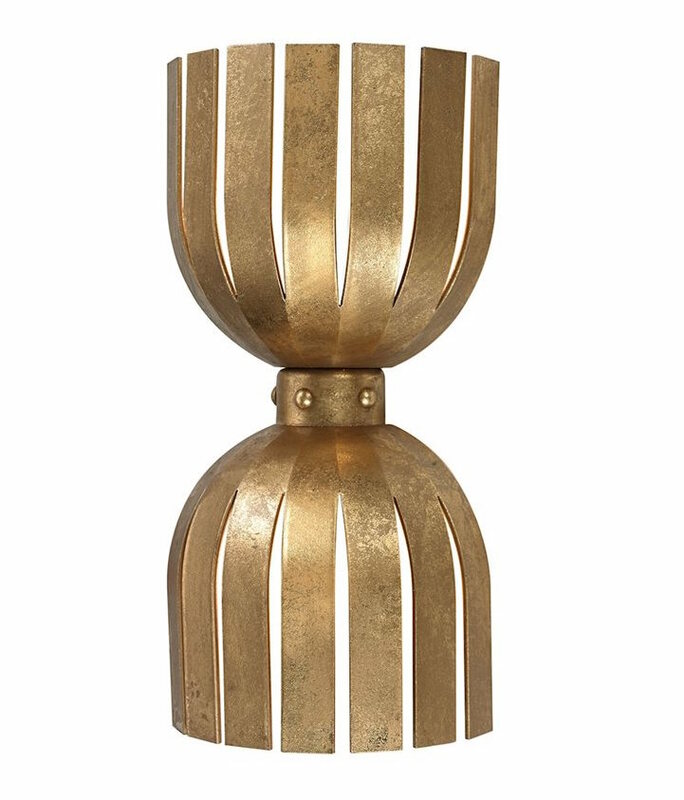 Elevate your walls with the Olivia Wall Sconce. 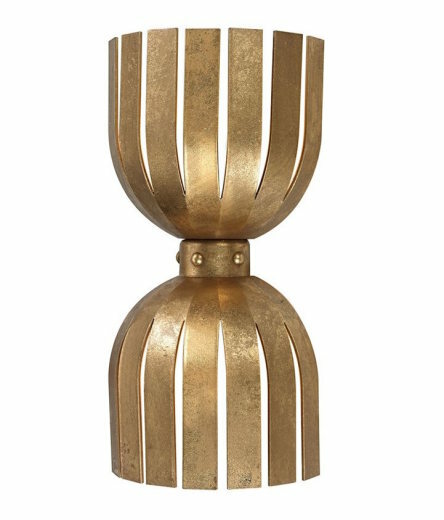 A simple yet bold design, this wall sconce features semicircles of solid metal U-shaped arms surrounding the bulbs and junction box. The gold leaf finish adds a touch of glamour. Uses 2 40W candelabra bulbs.